Joanne's patterns are all so lovely, and your quilt is beautiful! Your quilting looks great to me! 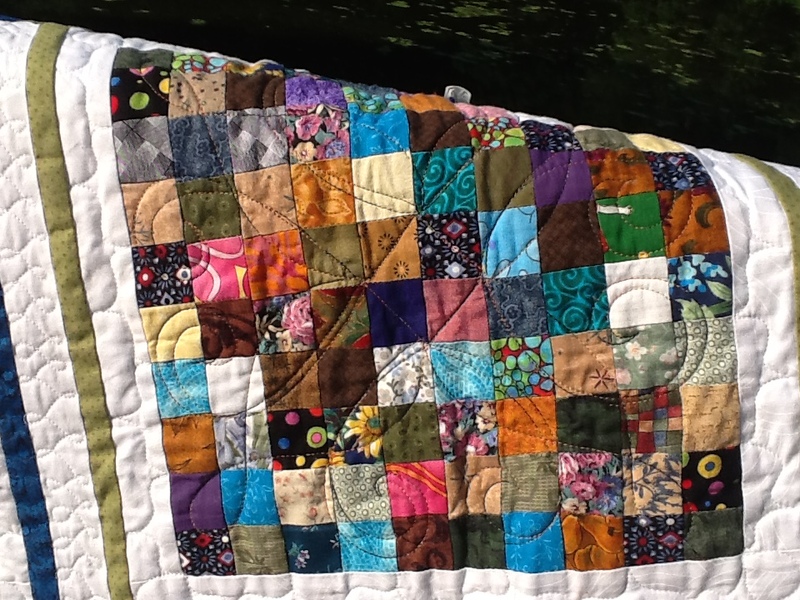 ---"Love"
Love that scrappy quilt! You did a great job with the quilting. I love your postage stamp quilt. Awesome piecing and the borders are fabulous. 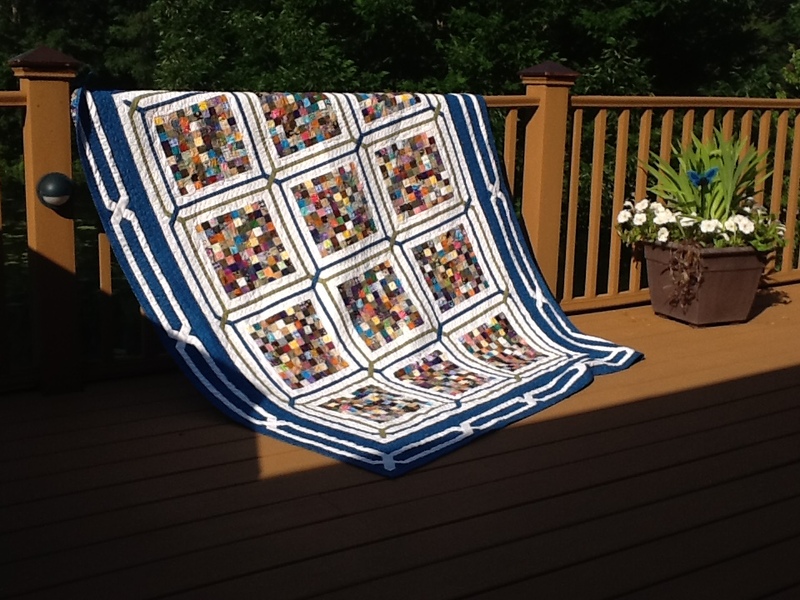 Great job on the longarm quilting "adventure" as well. Thanks for sharing at KISMIF Mondays. 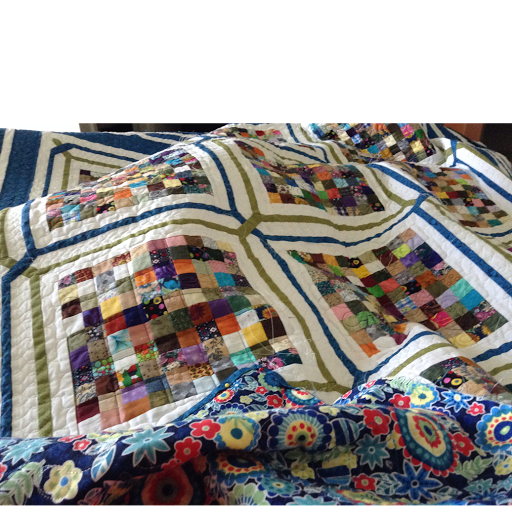 Thank you for sharing the finished quilt! 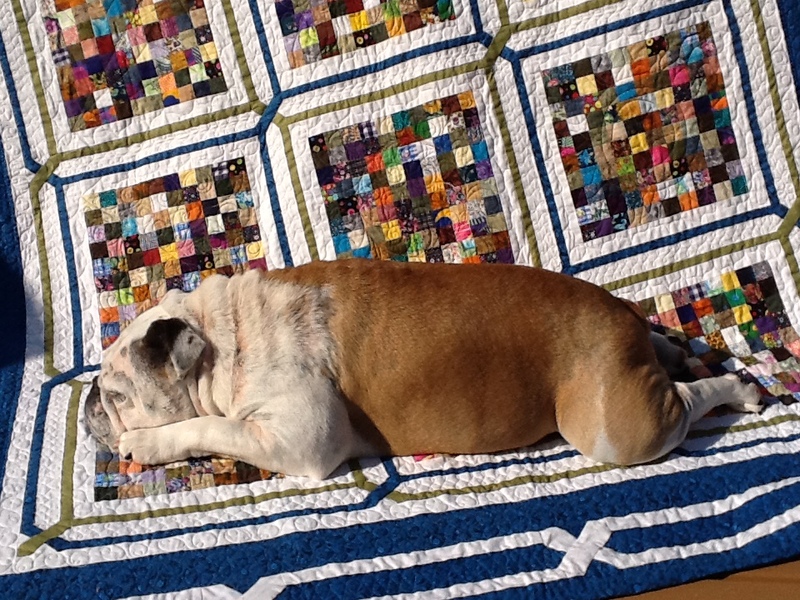 The quilting on yours is much fancier than on mine. It looks great! I also enjoy picking out all the scraps in mine from previous quilts, remembering who each one was for. It looks so great. I just love the borders. 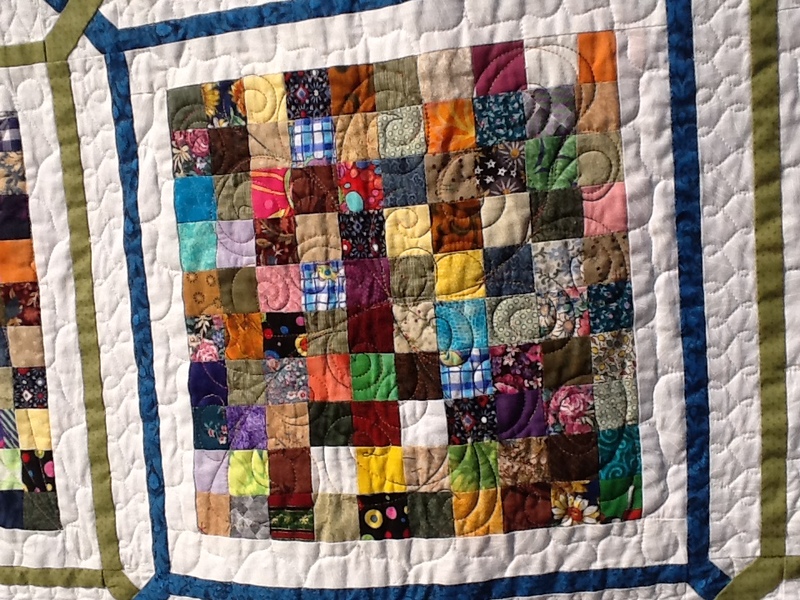 And the quilting is beautiful. I love the layout of this quilt!